Flight time 14 hours from the UK. 19 hours from NYC. In a landlocked haven separated by the powerful Zambezi River is where you’ll find two of our favorite destinations for an intrepid safari; Zambia and Zimbabwe. Our Africa safari experts have hand-picked their favorite intimate lodges hidden miles from civilization where you’ll find elephants on your doorstep, quite literally. Our bespoke two-week safari trip will have you canoeing past pools of hippos, embarking on adventurous night drives, and to top it off with our expert guides you’ll be walking through the bush to spot all the incredible wildlife of the Hwange National Park and South Luangwa National Park. This trip will allow you to gain a sense of what a true African Safari experience should be like- wild, private, and truly eye-opening. Where better to begin your southern African adventure than Linkwasha Camp? After a private light aircraft flight, you’ll land on Linkwasha Airstrip where you are whisked away to your luxury dwelling. You’ll spend three nights in Zimbabwe’s idyllic wildlife conservation area; Hwange National Park where there is an abundance of beautiful wildlife to spot both from your tented canvas camp, and on your exclusive safari with the guides. The mornings greet you with a light breakfast complimented by the sun rising over the Savannah before your guides take you out in the 4×4 open-top jeep to track down elephant, southern giraffe, lion, wild dog and cheetah. Afternoon nature walks are followed by a refreshing dip in your plunge pool, bringing you closer to your new neighbors in the bush. 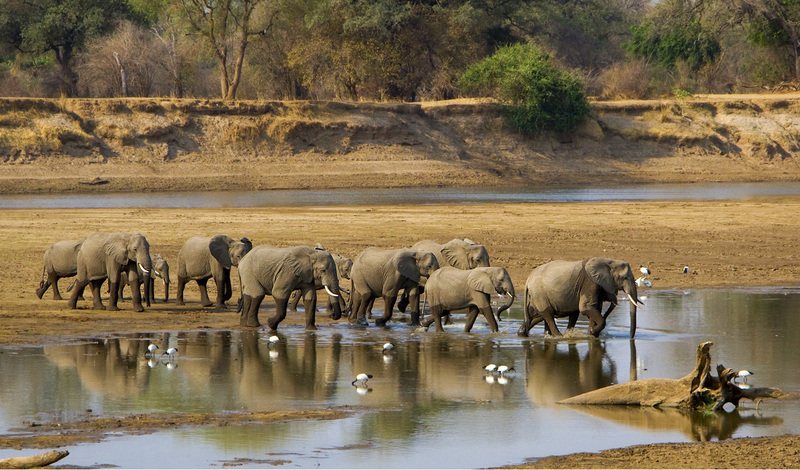 From Hwange, you’ll be flown north to Mana Pools overlooking the Zambezi River. From your base at Ruckomechi Camp, known to be a naturalist’s paradise, you’ll be resting up on the banks of the Zambezi River, a prime hippo viewing spot. This particular camp is also known as ‘the elephant’s favorite camp’ because you can spy the friendly giants from your private outdoor bathroom. The Ruckomechi camp offers a variety of different game experiences from open-top jeep drives and night walks to canoe and motorboat excursions down the great river. Relax in your intimate tented suite, enjoy a dip in the infinity pool and have a nightcap with your new nosy neighbors. For an exclusive and adventurous experience, we can arrange for you to have a private sleep-out at Parachute Pan – a hive of animal activity. Next stop: the mighty Victoria Falls. On arrival at the airport, you will be met by your guide who will drive you to Tongabezi Lodge, just an hour and a half away. The romantic hideaway is set on the Zambezi River and holds a warm and hospitable ambience allowing guests to completely relax and enjoy the tranquil haven of a luxury African camp in the heart of Zambia. The next few days will be spent exploring the beautiful area, charging across the grasslands in a 4×4 to spot wildlife and visiting local rural villages. A guided canoeing excursion will take you down the river to spot curious hippos peering above the calm waters. We will arrange an exclusive private helicopter ride over the Victoria Falls for a truly memorable experience, but the braver traveler can take flight in a vintage fixed-wing light aircraft and hang over the falls themselves. For a truly romantic evening, you can dine on a floating Sampan under candlelight as the blazing African sun disappears behind the bushes. Tongabezi Camp is a wonderful place to relax after a busy day and watch the river slowly flow by from your private terrace. After two glorious days at the camp, you will depart Tongabezi for the Lower Zambezi. You will be met on arrival at Royal Airstrip by a representative who will take you to Chongwe Camp just 15 minutes away. Your base for the next two nights is the Chongwe Camp where you’ll be treated to some of the best walking, boat and night safaris. These guided tours will provide you with some of the best game viewing in the world, making the camp the perfect place to stay for wildlife and nature lovers alike. For an unusual experience you can enjoy a laid-back fishing excursion on the Zambezi, here you can catch tiger fish and cook your spoils around the campfire. 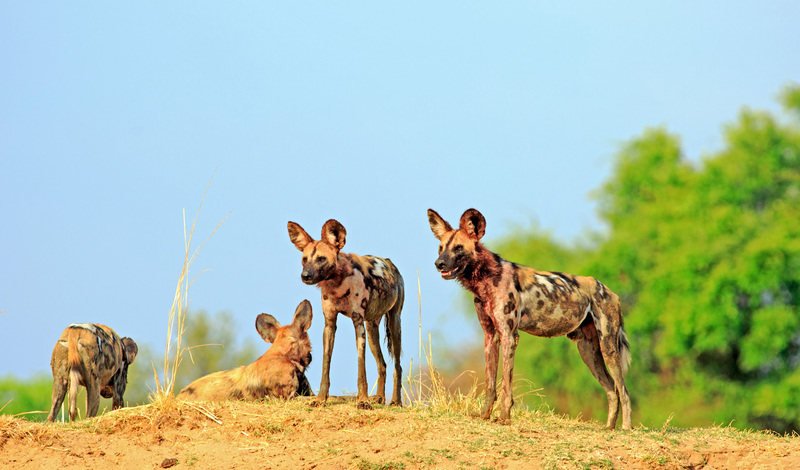 Your last few days will be spent at the wildly luxurious Chinzombo Camp in South Luangwa. The only way to access the camp is by boat as you meander past the rustling bushes and tentative animals. The spacious villas have open plan structures located in a beautiful position on a sweeping bend of the Luangwa River. Here, you will take a 4×4 game drive where you’ll see some of the highest density of leopards in Africa. Unlike the Zambezi (where you’ll see lions and elephants mainly) you’ll be enjoying the plains game of Africa here; leopards, zebras, giraffe, plenty of antelopes, waterbuck and buffalo. On the final day, you will be taken to Mfuwe Airport for your flight to Lusaka in order to connect with your international flight home.